Kenneth Burke’s engagement with American Marxism advanced the primacy of language, rhetoric and interpretation in constructing reality and communicating its attendant motives. Although Burke added a discerning voice to the communist movement, often anticipating post-Marxist theory and cultural studies, his social criticism eventually redirected itself from Marxism per se to the probes inherent in technology and empire. The article review this development chronologically and mainly through the Burke books published in the thirties and his writings that appeared in the influential periodicals of the period. WILLIAM PHILLIPS, LONG-STANDING EDITOR OF THE PARTISAN REVIEW, recalled marching in a May Day parade in New York City during the thirties with Kenneth Burke at his side. According to Phillips, Burke joined in the shout: “We write for the working class.”1 Perhaps Burke had subordinated his own literary ego to that encompassing solidarity of the group, for it is hard to imagine that, speaking for himself, he was being true to the situation. Anyone who has delved seriously into “boikswoiks” knows that, although tremendously rewarding, they are dense, idiosyncratic, and metacritically challenging. So, in adding his voice to the slogan, what was Burke saying? Rather than viewing it as a disingenuous statement, Michael Denning, in The Cultural Front, interprets Burke’s consent to join in that collective shout as a declaration of his political allegiance. His heart was in the right place, even if his writing hand abstracted away from the mundane, concrete concerns of the oppressed masses. To draw on Burke’s own definition of identity, he was most likely exercising one of the “‘corporate we’s’” that constituted his sense of self and selfhood. Although Burke was never a card-carrying member of the Communist Party in the United States, for a time he was a fellow-traveler, sympathetic to the general orientation of the movement, for which he had “plumped grandly,” albeit in his own inimitable way. Whether or not Burke’s contributions made him, as Denning advertises, one of the “leading American Marxists of the 1930s,” and “the most important communist cultural theorist in the United States” at the time,2 is debatable. Perhaps it is a form of wishful thinking, a kind of “occupational psychosis,” to apply a phrase from Burke who borrowed it from John Dewey. In Burke’s own words to me, he described his relationship to communism in the turbulent thirties as “working round the edges.”3 Since Burke was in his mid-eighties when he made that remark, perhaps this too was a selective manner of perceiving his involvement with Marxian critical thought and praxis as he looked back from such a great distance. In many ways, Burke was a product of his times—an intellectual and literary man moving away from the modernist Anglo-American sense of art as a self-contained and autonomous object to a more socialized outlook. For Burke, and as early as Counter-Statement, this meant comprehending language (and literary art) as symbolic action embedded in social situations. The belief in literature as a kind of moral aestheticism, Burke’s modernist sensibility, altered around 1930. Although he would always adhere to the ethical notion that literature constitutes a moral and civic force, Burke discovered a much more encompassing medium when he redefined art as a form of communication. This opened the doors of perception in terms of rhetoric, literary and social criticism, the philosophy of language, and his growing concern about the unintended consequences of technology and the built environment. From this perspective, Burke was not a typical fellow traveler—one of a multiple. The development of Burke’s thought in relation to American Marxism is significant because it anticipates post-Marxist theory and cultural studies, especially regarding the critique of the architectural metaphor (base/superstructure).9 Burke’s increasingly more sophisticated treatment of economic determinism and dialectical materialism can be viewed as a kind of anti-foundational argument, making ample room for an analysis of cultural processes and ideologies. Also, he perceives Marxism as an ethical system—a social drama—rather than a strictly scientist enterprise. Finally, Burke is ahead of the curve by anticipating the linguistic turn and the trouble with technology. The latter interest subsumes the battle of the Isms, and leads him into the notion of World Empire—a forerunner of globalization and its discontents. (He had been sounding this warning since the mid-1950s.) Burke’s unflagging skeptical orientation, in part a result of his allegiance to the tradition of American progressivism, and his wide-ranging intellect, made him an easy mark for revisionist accusations by both American Trotskyites and Stalinists during the thirties. Burke harbored no cloak-and-dagger conspiracy, but merely displayed the mark of his own critical adventurousness. Working round the edges of Marxism in America was, after all, a strategic way for Burke to size up a complex and socially charged situation without getting sucked into the vortex of an absolutist political program and mode of thought. Yet Burke’s contributions toward the radicalism of the Depression years should not be minimized simply because of his swerving critical orientations. As always, he added a discerning and discriminating voice to the communist movement, a distinctive shout, one that would eventually redirect itself from Marxism per se, and Burke’s comic yet critical appraisal of industrial concentration under a system of capitalistic production, to the transcendent fix of Big Technology. For the most part, we shall review this development in chronological order and mainly through Burke’s books published in the thirties and his writings that appeared in the influential journals and little magazines of the period. from Heaven, since that would cause inflation. To illustrate the absurdity of this causal relationship, Burke draws on examples from the automobile industry, architecture, a public utility, and advertising. Before long, the cumulative effect builds and we come to see that good business, with its insatiable appetite, not only stimulates but demands the fabrication of need, the temporary exhaustion of want, and the stockpiling of consumer refuse to both expedite and purify the vicious cycle. For Burke, the principle of obsolescence is the goad of a capitalistic economy geared toward prosperity (and entrapment) at all costs, embedding its producers and consumers into a materialism run amok. In this scheme of things, the very stuff of culture depends upon the interlocking motivation to work, produce, consume, and toss. In his concluding comments, Burke signals an attitude of skepticism when contemplating the changing of the guards, thus promoting a reflexive bohemian position of unmitigated individualism. “Flags may still be needed to combat flags,” he writes, “but the triumph of the last flag should coincide with the triumph of flaglessness. If there is ever a millennium, it will be the reign of doubt.”14 The primacy of doubt works to discount Burke’s radical leanings and puts into question the nature of any allegiance to the symbols of authority. In springing this bohemian opposition, Burke’s approach seems to rest upon disorder, distrust, and a pervasive sense of uncertainty. Both capitalism and communism thus dissolve as political and socio-economic forms of control in favor of a prescriptive yet undermining aesthetic featuring renunciation. Though keeping to his strident criticism of laissez-faire capitalism and its discontents, Burke’s comic moral radicalism underwent a profound change by 1933 when his article, “The Nature of Art Under Capitalism,” appeared in The Nation. The piece marks a transitional point in which bohemian rebelliousness begins to give way to a growing pro-socialist position. It is significant not only for its alignment with the general direction of the movement, but also for its clarification of the relationship between business and industry, a reconceptualization vital to the development of Burke’s thinking. Burke’s binary distinction between business and industry enabled him to jettison the stark and vulnerable opposition between bourgeois and bohemian modes of social being. Since one can be industrious (active, skilled, diligent, assiduous, inventive, and so on) without necessarily adhering to the capitalistic business enterprise of the practical bourgeoisie, there is no longer any need for dissent based upon anarchic irresponsibility. One can be industriously opposed to the prevailing order and at the same time committed to a renewed program of action stressing pro-socialist, cooperative citizenship. This timely teasing apart of business and industry coincided with Burke’s public initiation into the radical ferment of the thirties; in many respects, it was his conceptual way in to a more encompassing dialectic. The article concludes by advocating a “corrective or propaganda element in art” in order to balance “‘pure’” art, which tends toward the acquiescent. Burke was too steeped in aesthetic modernism to ever promote abolishing pure art, or art for art’s sake. Rather, he diplomatically makes the case for extending literature into the realm of the hortatory. However, Burke argues that even when this rhetorical or suasive function is adopted, the “moral breach” is far from mended. Burke came down on the corrective proletarian literature then on the market for being too “harsh,” thus failing as both propaganda and pure art: “Too often . . . it serves as a mere device whereby the neuroses of the decaying bourgeois structure are simply transferred to the symbols of workingmen.” And, once again, the discount: “Perhaps more of Dickens is needed, even at the risk of excessive tearfulness.”19 Although Burke had found his path into the movement, his own critical industriousness often ushered him back to its very threshold. This quote proved prophetic, since four months later the Communist Party, in an attempt to broaden its base, shifted its rhetorical line to what would be known and virtually accepted by all members and sympathizers as the People’s Front (a.k.a. the United Front or Popular Front). But, although the process of increasing tolerance was underway during the years 1934-1935, this more encompassing outlook would not be officially mandated until August of 1935; in April of that year, and especially during the Congress proceedings, despite the factional disputes, the overwhelming sentiment was decidedly elsewhere. Burke would suffer the consequences of his premature vision, for the vagaries of the Party would ostracize him one day only to sloganize the essence of his speech at a later date. An orthodox Marxist, of which there were many assembled in the Congress auditorium that day, would object to Burke’s proposal, since it severely compromises the dictates of the historical prophecy, particularly the second stage, or the polarization of two classes–a dwindling bourgeoisie and a growing and consolidated proletariat. Accordingly, all other class segments would disappear or seek alliance with one of the above. Even the petit bourgeois, historically in between the ruling and exploited classes, would be absorbed eventually by the latter social category, and not as a result of pleas rising from below, but by virtue of an inevitable step prescribed by the dogma of historicism. The petit bourgeois, Marx wrote in the Manifesto, “are being constantly hurled down into the proletariat by the action of competition, and, as modern industry develops, they even see the moment approaching when they will completely disappear as an independent section of modern society.”25 From this perspective, Burke’s pleading for unity could very well be criticized as a diffusion of class-conflict and the necessary tensions and actions resulting from it. For Marx’s historical prophecy would not have its propagandizers wasting their time by convincing the historically convinced (my italics). Such a measure would be seen not only as redundant but as an unnecessary attempt at reconciliation. As with utopian projects, it would only work “to deaden the class struggle” and displace vital energy to social groups doomed to fall into the ranks of the working class anyway. Burke’s own sympathy with communism as an historical movement is clearly evidenced in the first edition of his Permanence and Change, published in 1935, just prior to his participation in the Congress. The book, originally given the working title–“Treatise on Communication,” is mainly concerned with “poetico-political speculations” regarding the notion of the human as “communicant.” In his Prologue to the second edition, Burke, reflecting on the general hardship of the Great Depression, puts himself in parenthesis, while revealing his own strong interest in the primacy of language: “Though he [the author] had an almost magical fear of destitution, he never passed up a single meal for lack of funds. . . . So, all told, concerned with words above all, when things got toughest he thought hardest about communication.”30 Although Burke “plumped grandly” for communism in the first edition, his approach throughout remained primarily cultural (both interpretive and philosophical), treating forms of the superstructure (in particular, the system of communication) as integral and constitutive acts rather than as epiphenomena of material conditions prevailing at a certain time. As an American Marxist, Burke’s encompassing pragmatic and cultural approach to communism in the thirties demonstrates his willingness to both employ and critique Marx. For instance, his criticism of dialectical materialism had been brewing for a while. His refutation of economic determinism first appears in “The Status of Art,” the fourth chapter of Counter-Statement. In this chapter, Burke maintains that correlation does not necessarily mean causation. To hold that economic and political forces are primary and aesthetic acts secondary is a specious form of logic, one that begins with the broad social context and ends with a “hierarchy of causes whereby economic manifestations could be called causally ‘prior’ to aesthetic manifestations.” Clearly, the privileging of economic forces as “prime movers” reveals an ideological bias, for, as Burke notes, “it is not very sound dialectic to assume that, because two things change concomitantly, one can be called exclusively a cause of the other.”35 This raises the question: Is the dialectic in dialectical materialism a mere modifier? If correlation is tantamount to causation, then one can easily reverse the direction of causality to feature ideas and attitudes as a kind of immovable mover. As an example, Burke cites the feminist movement of the nineteenth and earlier twentieth centuries and its great impact upon society. Although Attitudes clarifies Burke’s position as “pro-socialist, anti-capitalist,” it is more concerned with cultural processes and the symbolic analysis of poetic categories that convey attitudes toward social reality framed around “acceptance” and “rejection” (Schopenhauer’s Bejahung und Verneinung) than with Marxism per se. In addition, there is a part devoted to historical progress, from Christian Evangelism to Emergent Collectivism, a chapter on ritual, and a “Dictionary of Pivotal Terms,” which discusses some of Burke’s seminal concepts and terminologies, including “bureaucratization of the imaginative,” the central metaphor of the book. This metaphor, which links unforeseen consequences to idealistic conceptions when the latter get translated into concrete embodiments, signals Burke’s own curve of development from idealism (the cooperative/communicative ethic) to realism (the conflict inherent in human association). Perhaps such demeaning sectarian squabbles, and Burke’s own hesitation to overtly denounce Stalin after the first round of the Moscow Trials, led to his relative withdrawal from radical politics in subsequent decades. (After the “Phartisan” Review incident, Burke referred to his nemesis both in conversation and correspondence as “Shitney” Hook.) But such a withdrawal should also be seen in the context of Burke’s own metacritical orientation as well as his re-engagement with the new framework of conflict generated by World War II (the techniques and hierarchies of cold war society), which we will turn to shortly. In The Philosophy of Literary Form (1941) and A Grammar of Motives (1945), Burke clearly charts his own orbit as a socially-engaged literary critic and philosopher of language and symbolic action. Although clearly apparent in the first part of the Philosophy, it is really in the Grammar that Burke reveals the results of his own protean development as man thinking. His eclectic, shifting, and wide-ranging intellectual capacity is evidenced throughout the book, particularly when he introduces and applies his method of Dramatism (the Pentad: Act–Scene–Agent–Agency– Purpose, and their various permutations) to both individual texts and branches of philosophy. Burke employed Dramatism “to consider the matter of motives in a perspective that, being developed from the analysis of drama, treats language and thought primarily as modes of action.”41 It probably comes as no surprise that one of those modes of action treated in the book was the Marxian dialectic. In the Grammar, Burke maintained his critical interest in Marx, but by this point in his writing career he had integrated Marx entirely into his own heuristic methodology. The technological dilemma is taken up by Burke in “Progress: Promise and Problems” (The Nation, 1957) and addressed extensively in “Motion, Action, Words” (Teachers College Record, 1960). In the former article, Burke cautions that “every addition to the positive powers of applied science will be an addition to the realm of human conflict. "47 (Burke claims this to be the case even given the utopia of Marx’s classless society. )48 Burke’s message is simply put. He merely asks the reader to consider not only the promises of scientific application, but also its undesirable and often unpredictable consequences. Such considerations are necessary to remedy the excessively optimistic position that science, and not an intervening ethical code, will solve its own problems. Technology . . . presents us, above all, with the problems of World Empire. . . . Big Technology has its own peculiar logic, and maybe Isms left over from previous eras obscure our understanding of its particular conditions. These motivational tenets of logology, or symbolic action, naturally transfer to technology which, “far from being ‘inhuman,’ is the very burlesque of a human being working and thinking.” In the face of weapons of mass destruction, indiscriminate pollution, and global warming, such implicative mechanisms accent our possible extinction rather than continued survival. The appropriate poetic category for his state of affairs, our “global destiny,” appears to be classical tragedy. As such, Burke can thus exploit the attendant Orwellian paradoxes inherent in the form’s dramatic irony: “Our security becomes our danger; our boast becomes our destruction; our self-satisfaction becomes our stupidity. Our pride goes before our fall.”51 Rather than inheriting the battle lines of Isms, we find ourselves, wherever we happen to be, in the epicenter of a “technologically goaded World Empire,” the total effect of technology itself, “[hu]mankind’s burdensome ‘fulfillment,’” and, perhaps, true eschatology. *Benedict Giamo is an associate professor in the Department of American Studies at the University of Notre Dame. His research areas encompass homelessness, literary and cultural studies, and creative nonfiction. His most recent book—Kerouac, the Word and the Way, examines the prose art of Jack Kerouac as an expression of his ever shifting spiritual quest. His other books include The Homeless of Ironweed, a study of William Kennedy’s Pulitzer Prize winning novel and Albany Cycle; Beyond Homelessness: Frames of Reference (with Jeffrey Grunberg) and On the Bowery: Confronting Homelessness in American Society. His recently completed a work of nonfiction that examines the murder of a homeless advocate in Topeka, Kansas. Kenneth Burke’s writings on language, literature, and society have been of keen interest to him for the past three decades. Quoted from the symposium, “Thirty Year Later: Memories of the First American Writers’ Congress,” The American Scholar 35.2 (Summer 1966): 501. A discussion with Kenneth Burke, Malcolm Cowley, Granville Hicks, William Phillips; Daniel Aaron, moderator. Michael Denning, The Cultural Front: The Laboring of American Culture in the Twentieth Century (London and New York City: Verso, 1996): 55-6 and 434-45; quoted from 444 and 436, respectively. Personal communication from Kenneth Burke, Emory University, February 1983. Letter from Burke to Malcolm Cowley (4 June 1932), in Paul Jay, ed., The Selected Correspondence of Kenneth Burke and Malcolm Cowley, 1915-1981 (Berkeley: Univ. of California Press, 1988): 202. Paul Jay, “Kenneth Burke and the Motives of Rhetoric,” American Literary History 1.3 (Fall 1989): 552 (n. 9). Frank Lentricchia, Criticism and Social Change (Chicago: Univ. of Chicago Press, 1983): 10. See Burke’s Prologue to the second, revised edition of Permanence and Change: An Anatomy of Purpose (Los Altos, CA: Hermes Publications, 1954; first edition, New York: New Republic, Inc., 1935): xxii-xxiii. It is important to note that, for reasons relating to intellectual development as well as political climate (not to mention being true to one’s title), Burke excised a total of about four pages of explicit references to communism from the first edition. The most significant references and passages that were removed can be found on the following pages of the original 1935 publication: 91, 93-94, 213, 345, and 347-8. For a complete accounting, see Edward Schiappa and Mary F. Keehner, “The ‘Lost’ Passages of Kenneth Burke’s Permanence and Change,” Communication Studies 42.3 (Fall 1991): 191-8. Karl Popper defines Marx’s extreme materialist emphasis in the following way: “From the scientific or causal point of view, thoughts and ideas must be treated as ‘ideological superstructures on the basis of economic conditions.’ Marx, in opposition to Hegel, contended that the clue to history, even to the history of ideas, is to be found in the development of the relations between man and his natural environment, the material world; that is to say, in his economic life, and not in his spiritual life. This is the why we may describe Marx’s brand of historicism as economism, as opposed to Hegel’s idealism or to Mill’s psychologism.” See Popper, The Open Society and Its Enemies, Vol. 2 (Princeton: Princeton Univ. Press, 1962): 104. Burke, “Industrialist’s Prayer,” from Collected Poems, 1915-1967 (Berkeley: Univ. of California Press, 1968): 51. Burke, “Waste----The Future of Prosperity,” The New Republic, LXIII (16 July 1930): 229. Burke, “Boring from Within,” The New Republic, LXV (4 February 1931): 328. Burke, Counter-Statement (Berkeley: Univ. of California Press, 1968; first ed., New York: Harcourt, Brace and Co., 1931): 111-12. Burke, “The Nature of Art Under Capitalism,” The Nation 137 (13 December 1933); 676. Burke, “My Approach to Communism,” New Masses X (March 1934): 18-19. Burke, “The Nature of Art Under Capitalism,” 677. See Henry Hart, ed., American Writers’ Congress (New York: International Publishers, 1935): 9-17. Also, for related detail and a very informative account of the political and social background setting the stage for the reception of Burke’s Congress paper, see Jack Selzer, “What Happened at the First American Writers’ Congress? 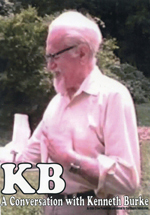 Kenneth Burke’s ‘Revolutionary Symbolism in America.’”---- Selzer views Burke’s presentation within the broader context of an ongoing, intense debate within the left at the time. In this sense, Selzer’s understanding of the event is similar to Denning’s, who states: “The story of Burke at the American Writers’ Congress is not one of Burke against the left, but one of a controversy within the left.” See The Cultural Front, 444. Burke, “Revolutionary Symbolism in America,” in Henry Hart, ed., American Writers’ Congress: 90. Karl Marx and Friedrich Engels, “Manifesto of the Communist Party,” in Robert C. Tucker, ed., The Marx-Engels Reader (New York: W. W. Norton & Co., 1978): 493. Burke, “What is Americanism?” (a symposium on Marxism and the American tradition), Partisan Review and Anvil, III (April 1936): 10. Burke, “Thirty Years later,” 506-507. Burke, “The Writers’ Congress,” The Nation, CXL (15 May 1935): 571. See Burke’s Prologue to the second edition of Permanence and Change: xiv. Burke, Permanence and Change, first edition (New York: New Republic, Inc., 1935): 52. Burke, Permanence and Change, first edition, 93. Burke, Permanence and Change, first edition, 288. Burke, Attitudes Toward History, third edition, 245. Burke, “An Exchange,” Partisan Review IV (January 1938): 42. For a full account of the controversy between Burke and Hook, see Jack Selzer and Ann George, Kenneth Burke in the 1930s: Negotiating the Left (Madison: Univ. of Wisconsin Press), forthcoming. Sidney Hook, “An Exchange,” 45. Forty-five years after this “Exchange,” Burke returned to the heart of the matter in his new Afterword–“In Retrospective Prospect”–to the third edition of Attitudes Toward History: “Actually when the book was first published, the term ‘bureaucracy’ was a red-hot rhetorical weapon, as used by the Trotskyites in their attacks against the Stalinists, through application of the term ‘bureaucracy’ exclusively to the Stalinist dictatorship. And one stalwart word-warrior [Hook] had at me on the grounds that my widened use of the term ‘bureaucratization’ was designed purely to weaken Trotsky’s charge against the ‘Stalinist bureaucracy,’ whereas I took it for granted that not only was every government a mode of bureaucratization, but every business, church, conference, ball game, picnic, and ordered set of words on a page” (400-401). Burke, A Grammar of Motives, Introduction to first edition (New York: Prentice-Hall, Inc., 1945): xvi. Burke, Permanence and Change, new Appendix to second edition (“On Human Behavior Considered Dramatistically”): 286. Burke, Attitudes Toward History, Afterword to third edition (“In Retrospective Prospect”): 401. Burke, “Progress: Promise and Problems,” The Nation, 184 (13 April 1957): 324. Burke also acknowledges that “the ever-mounting purely instrumental problems intrinsic to the realm of Counter-Nature” cannot be avoided. See Attitudes Toward History, Afterword to third edition (“In Retrospective Prospect”): 424. Burke, “Motion, Action, Words,” Teachers College Record 62.3 (December 1960): 247. Ibid., 249. Some years later, in a shift of tone from tragic irony to satire, Burke explored another more absurd version of this “Apocalyptic Vision of Division.” It entails an imaginary real estate project–Helhaven–“a scientifically designed culture-bubble on the moon, . . . involving a high degree of technological organization. In short, and following a hyper-rational strategy, technology on earth is exploited to the hilt without cause for reactionary measures or regulatory controls. The planet is wasted (the ills of technology remaining behind) and a new and more virtuous technology arises, like a phoenix out of the ashes. It is displaced to our nearest celestial neighbor so that a highly selective society can promulgate itself under ideal conditions on our moon. Burke advertises the mythic dimension of such an enterprise: “HELHAVEN, the expertly planned and guided enterprise of Lunar Paradisiacs, Incorporated. A womb-heaven, thus in the most basic sense Edenic, yet made possible only by the highest flights of technologic progress–hence, Eden and the Tower in one. A true eschatology, bringing first and last things together–the union of Alpha and Omega” (316). See Burke’s upending scheme in its entirety, “Why Satire, With A Plan For Writing One,” Michigan Quarterly, XIII (Fall 1974): 307-37. Aaron, Daniel; Burke, Kenneth; Cowley, Malcolm; Hicks, Granville; and Phillips, William. “Thirty Years Later: Memories of the First American Writers’ Congress.” The American Scholar, 35.3 (Summer 1966), 495-516. Burke, Kenneth. “Waste----The Future of Prosperity.” The New Republic, LXIII (16 July 1930), 228-31. __________. “Boring from Within.” The New Republic, LXV (4 February 1931), 326-29. __________. Counter-Statement. Berkeley and Los Angeles: Univ. of California Press, 1968 (first edition, New York: Harcourt, Brace and Company, 1931). __________. “The Nature of Art Under Capitalism.” The Nation 137 (13 December 1933), 675-77. __________. “My Approach to Communism.” New Masses X (March 1934), 16 and 18-20. __________. Permanence and Change: An Anatomy of Purpose. New York: New Republic, Inc., 1935 (second revised edition, Los Altos, Calif.: Hermes Publications, 1954). __________. “Revolutionary Symbolism in America.” In Hart, Henry, ed., American Writers’ Congress. New York: International Publishers, 1935, 87-94. __________. “The Writers’ Congress.” The Nation CXL (15 May 1935), 571. __________. “What is Americanism?” (a symposium on Marxism and the American tradition). Partisan Review and Anvil III (April 1936), 9-11. __________. Attitudes Toward History. Boston: Beacon Press, 1961 (first edition, two vols., New York: New Republic, Inc., 1937; second revised edition, Los Altos, Calif.: Hermes Publications, 1959). Burke, Kenneth, and Hook, Sidney. “An Exchange.” Partisan Review IV (January 1938), 40-47. Burke, Kenneth. The Philosophy of Literary Form: Studies in Symbolic Action. Third edition. Berkeley and Los Angeles: Univ. of California Press, 1973. __________. A Grammar of Motives. First Edition. New York: Prentice-Hall, 1945. __________. “Progress: Promise and Problems.” The Nation 184 (13 April 1957), 322-24. __________. “Motion, Action, Words.” Teachers College Record 62.3 (December 1960), 244-49. __________. Collected Poems, 1915-1967. Berkeley and Los Angeles: Univ. of California Press, 1968. __________. “Why Satire, With A Plan For Writing One.” Michigan Quarterly XIII (Fall 1974), 307-37. __________. “An Epistolation.” Personal copy of an unpublished poem, Emory University, Spring 1983. Denning, Michael. The Cultural Front: The Laboring of American Culture in the Twentieth Century. London and New York City: Verso, 1996. George, Ann, and Selzer, Jack. Kenneth Burke in the 1930s. Columbia: University of South Carolina Press, 2007. Jay, Paul, ed. The Selected Correspondence of Kenneth Burke and Malcolm Cowley, 1915-1981. Berkeley and Los Angeles: Univ. of California Press, 1988. Jay, Paul. “Kenneth Burke and the Motives of Rhetoric.” American Literary History 1.3 (Fall 1989), 535-53. Lentricchia, Frank. Criticism and Social Change. Chicago: Univ. of Chicago Press, 1983. Popper, Karl. The Open Society and Its Enemies. Vol. 2. Princeton, N.J.: Princeton Univ. Press, 1962. Schiappa, Edward, and Keehner, Mary F. “The ‘Lost’ Passages of Kenneth Burke’s Permanence and Change.” Communication Studies 42.3 (Fall 1991), 191-98. Selzer, Jack. Kenneth Burke in Greenwich Village: Conversing with the Moderns, 1915-1931. Madison, Wis.: University of Wisconsin Press, 1996. Tucker, Robert C., ed. The Marx-Engels Reader. New York: W. W. Norton & Company, 1978. "Means of Representation: Kenneth Burke and American Marxism; by Benedict Giamo is licensed under a Creative Commons Attribution-No Derivative Works 3.0. Based on a work at www.kbjournal.org.